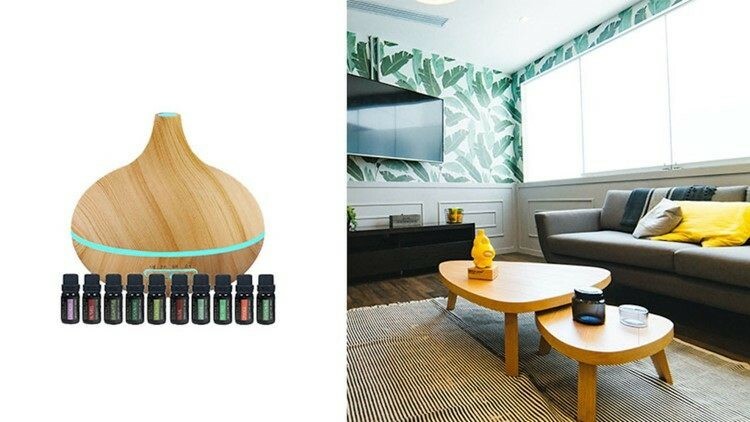 You don't need to dish out hundreds of dollars for a therapeutic-grade diffuser. How often do you wake up in the morning with a stuffy nose and a scratchy throat? The air in your room could potentially be disrupting your sleep. Fortunately, there’s a quick and easy way to alleviate your symptoms and improve your sleep habits: aromatherapy. This Ultimate Aromatherapy Bundle has everything you need to get started. An ancient technique for healing and wellness, aromatherapy can deliver an abundance of restorative benefits, like sinus and allergy relief, improved energy, and increased focus. In other words, it can help get rid of that stuffy, groggy feeling you deal with every morning. They’re not just glorified air fresheners, either. Diffusers revitalize your space naturally, helping to reinvigorate your senses. All you have to do is mix a few drops of your preferred essential oil with some water, pour it into the diffuser, and turn it on. Voila! You’re spreading wellness. You don’t need to dish out hundreds of dollars for a therapeutic-grade diffuser either. This bundle comes with everything you need to bask in the aromatherapy benefits: 10 pure essential oils, a diffuser, and a manual that explains it all. You can even improve the aesthetic in your room, as the diffuser comes with 15 different light modes and seven mood lights. Adjust the settings to find your ideal comfort zone and soak up all the wellness. Usually $349, you can grab The Ultimate Aromatherapy Bundle now for only $49.99 on shopdealboss.com — 85% off the original price.